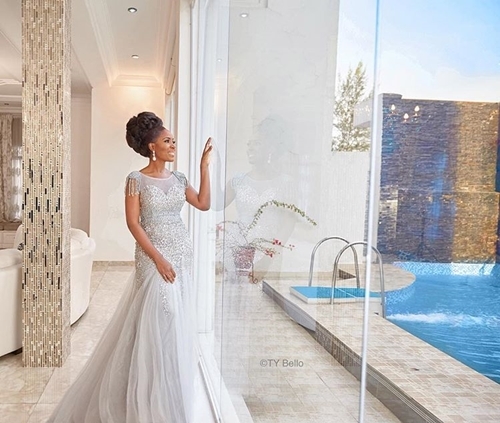 Stylish Nigerian blogger, Linda Ikeji, covers this latest issue of ThisDay Style magazine and is the ultimate poster girl in a dreamy spread for the cover feature. 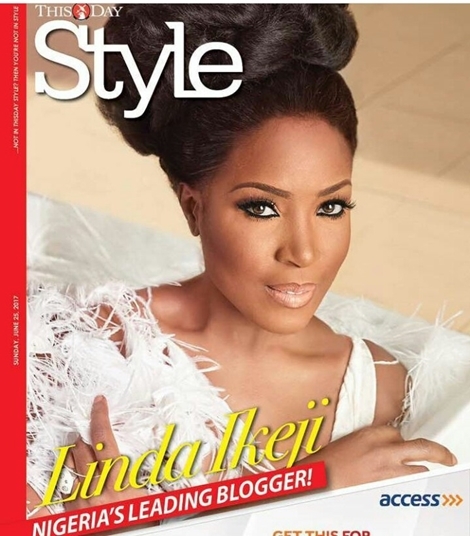 Self acclaimed richest and most popular blogger in Africa, Linda Ikeji is absolutely stunning for the latest issue of ThisDay Style Magazine. 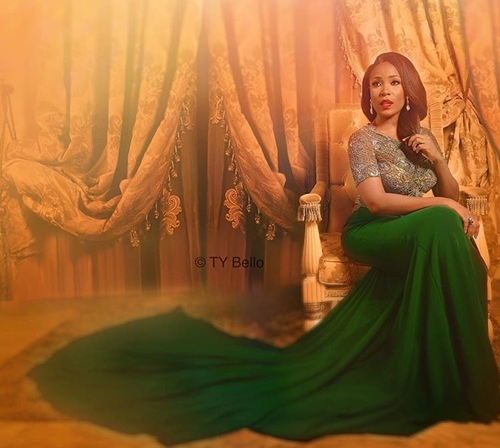 The millionaire blogger and media entrepreneur, who was shot by celebrity photographer, TY Bello and styled by Moashy Styling served major Hollywood glam in the new issue. Linda shared the photos of the cover feature on her blog and wrote; "So yours truly is the cover girl for this Sunday's Thisday Style. It's the best photoshoot I feel I've done and its all thanks to the genius called TY Bello. 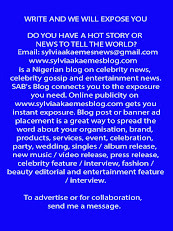 The shoot was done at my house two weeks ago and the result is stunning, even if I have to say so myself...lol." "LINDA IKEJI: So I remember a short moment I had during @officiallindaikeji ‘s shoot …we were all in her bathroom .. she ..reclined beautifully in that tub .. surrounded by the beauty team ..every one was readjusting something .. making sure it is was all perfect .. but her phone was never far .. I noticed she found moments to work .. in the middle of our drama .. I was then transported into a moment in her life over a decade ago when someone asked what she did .. and the look of confusion and worse ..concern when she retorted .. ‘ I’m a blogger … I blog ‘. "I know that confused – concerned-almost -condescending look I got when people didn’t understand my answer . "I remember sitting in a car in 2001 and an older aunty asked me .. what’s that ‘thing ‘ you said you do again ….’photography ‘ abi… ?everything about her tone put inverted commas on the word . But I stayed engaged because I knew she was genuinely interested and somewhat concerned… I answered yes and then she responded.. You’re living your dreams .. abi? And before my goggly eyed self could respond, she jerked me forward with a loud …WAKE UP!!!!! .. I’ll never forget .. Not necessarily the conversation itself but the conversations I had with my self afterwards .. I was so shaken .. no one had spoken so direct .most people just figured it was best to give me time to figure life out … till I get a real job. In that conversation.. I did WAKE UP .. to the truth that I had made a choice .. I was going to live as a CREATIVE … and that it wasn’t something to .. ‘see where this goes’.. this was going to be IT..my LIFE .my future .., so from that conversation .. I chose to give it EVERYTHING !Every once in a while I still yell at my self .. WAKE UP!!! And I ask my self the real questions .Im I giving it EVERYTHING!! For to live the life of my dreams … I must do it COMPLETELY AWAKE. Special thanks to @officiallindaikeji for letting us into her beautiful space and being such an amazing host .. and to the dream team that worked on this .. etidunju.